Editor's note: The following is adapted from written congressional testimony, given today, by dairy farmer Pete Kappelman before the House Committee on Agriculture. Testifying on behalf of the National Milk Producers Federation, Kappelman runs Meadow Brook Dairy Farms in Manitowoc, Wis., a fifth-generation family business with 450 registered Holstein and Brown Swiss cows that make up one of the highest producing herds in the state. He is chairman of Land O’ Lakes cooperative, a member of the U.S. Dairy Export Council. This industry has come a long way on trade in the past several years. Our nation has gone from exporting dairy products valued at less than $1 billion in 2000 to exporting a record $7.1 billion in 2014, an increase of 625 percent. That reflects not just a tremendous jump on a value basis but also a dramatic increase in the proportion of U.S. milk production that’s finding a home overseas. Fifteen years ago we were exporting roughly 5% of our milk production, now we’re nearly three times that level, even as overall U.S. milk production has continued to grow. That means that the equivalent of one day’s milk production each week from the entire U.S. dairy industry ultimately ends up overseas, making exports integral to the health of my farm and our dairy industry at large. It is not coincidental that the enormous growth over this period occurred during a time in which the U.S. was implementing a number of market-opening free trade agreements, each of which were approved through the use of Trade Promotion Authority. These agreements lowered and ultimately removed tariffs and in many cases they gave our products a preferential advantage over other supplying countries. They also often helped remove technical and regulatory barriers to our trade. In every case, our dairy exports to countries with which we implemented free trade agreements have shown substantial, sometimes dramatic, increases. The fact is that 96 percent of the world’s population is overseas. That population is growing faster than ours and that is where the output of our increasing dairy productivity must find a home. This means that for our farmers to continue to grow and processing companies to continue to likewise expand, overseas markets are critical. As a producer myself, I know first-hand what this means to me and my bottom line. When our exports increase, I benefit. And when, for whatever reason, our exports are impeded or we give up market shares, the effect is ultimately felt by the farmer in the price we receive. But it is not just dairy producers who are affected for better or worse when exports rise or fall. USDA’s Economic Research Service (ERS) estimates that each billion dollars of U.S. dairy exports generates 20,093 jobs at the milk production level and that $2.76 dollars of economic output are generated for each $1.00 of dairy exports. It is remarkable that, while for agriculture as a whole each billion dollars in exports generates 5,780 jobs, in the dairy sector each billion dollars in exports generates over three times as many jobs. Thus, the $7.1 billion that we exported in dairy products in 2014 supported more than 142,000 U.S. jobs at the production level. And according to the ERS multipliers, those exports generated nearly $19.6 billion in additional economic activity at that level. At the manufacturing level, where the milk is turned into cheese and other processed dairy products, ERS estimates that each billion dollars of exports generates 3,150 jobs. So, our exports in 2014 supported 22,300 jobs at the manufacturing level. This, in turn, generated additional economic activity of nearly $25 billion. Exports account for approximately 31.7 billion pounds of U.S. milk and nearly 4 billion pounds of milk solids, equating to the milk from 1.4 million cows. As global demand for dairy continues to rise, U.S. dairy exporters are meeting the challenge by making the right products with the right packaging and the right specifications for each customer. The U.S. is now the world’s leading single-country exporter of skim milk powder, cheese, whey products and lactose, thereby benefiting millions of customers in hundreds of countries around the world. To best understand the level of importance that exports have today for the U.S. dairy industry and farmers in particular, a key barometer is the percentage of incremental milk solids going to support U.S. dairy exports. Since 2003, total U.S. milk production increased by nearly 35.7 billion lbs. Over that time, 61 percent of the increase in U.S. milk solids produced was required to supply U.S. dairy product exports. That means that more than 21.8 billion lbs of the additional milk the U.S. has produced since 2003 has been devoted to exports. At the 2014 all-milk price of $24.00/cwt, this represents nearly $5.2 billion in additional dairy farm revenue. That amount of milk also represents the amount that more than 4,800 average sized (i.e. 204 cows per farm) dairy farms would produce. 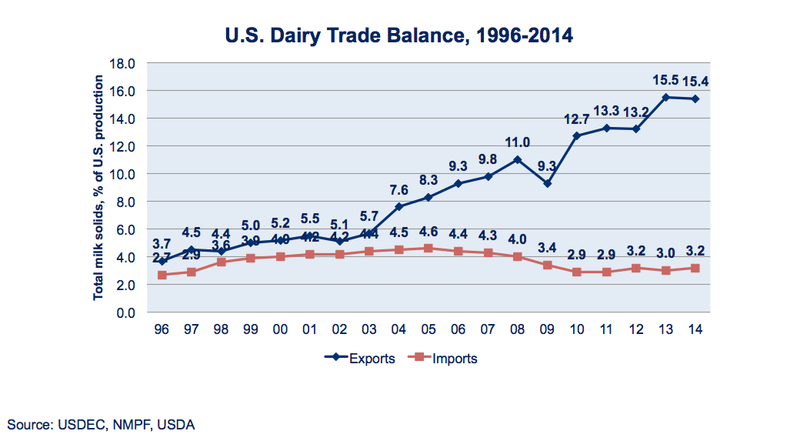 There is no doubt that exports will continue to play an increasingly important role within the U.S. dairy industry. Our future is dependent on continued growth in dairy exports. USDA’s long-term baseline projects U.S. milk production to increase to 230.4 million lbs. by 2019, which represents an increase of 24.354 million lbs. If 57% of new milk continues to supply export markets, an additional 13.882 million lbs will be used for exports. During that time period, milk production per cow is expected to increase to 24,580 pounds per cow. That means that, without growth in dairy exports, 623,676 fewer cows would be required to produce milk in the United States and 5,423 fewer average-sized farms would be needed to keep up with the supply and demand for U.S. milk. For U.S. milk producers to continue to see robust milk production growth, exports must increase in not only absolute terms, but also in relative terms because the rate of domestic consumption growth is insufficient to maintain milk production growth, as projected by USDA. When we talk about the importance of agricultural exports, or in my case, dairy exports, it is easy to wade too deeply into statistics, and for that I apologize. It is important to also stress that the benefits of agricultural exports go not just to the farmers in your districts back home. The benefits also go to the people who sell farmers fuel, fertilizer, seed and other inputs, and to the people involved in processing, packaging, storing, transporting and marketing the farm products that end up moving overseas. And, of course, the multiplier effect goes even farther -- to the benefit of people in the communities where farmers buy goods and services, from school clothes to haircuts. I have painted a rosy picture so far of the potential trade offers. But when it comes to trade, those who stand still fall behind. 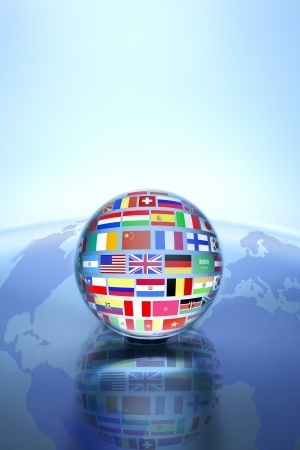 Our competitors are negotiating trade agreements all over the globe. Unfair import barriers remain in place and new ones are erected all the time. These types of challenges are detailed in our 2014 National Trade Estimate comments. They range from unjustifiable health and safety measures to certification requirements to the more recent and extremely protectionist efforts by the EU to prevent the use of common cheese names -- by misusing Geographical Indications to give its producers a lock on international markets. If we aren’t in the game actively negotiating on these issues, we’re ceding ground to our competitors and those looking to make it tougher for us to do businesses in their markets. That’s why we need to continue to be able to use trade agreements to keep expanding export opportunities. Not one of the free trade agreements that have been so beneficial to us in the past has been implemented without some form of trade negotiating authority from Congress (TPA). Knowing that a trade agreement will be considered by Congress under such a process is what allows our negotiating partners to make their best offers on issues and products of greatest sensitivity. Inevitably, dairy and many other agricultural products fall into that category. A case in point is the Trans-Pacific Partnership (TPP) negotiations. Access to the TPP’s most protected dairy markets – Japan and Canada – is essential to us and both countries have pointed to the importance of having TPA in place as TPP talks enter their final stages on agricultural negotiations. Our negotiators have moved the ball forward on many key issues but in order to ensure that we conclude a high-standard, balanced agreement that delivers net trade benefits for the U.S. dairy industry, we need to have TPA in place. We also see tremendous value in TPA’s ability to not only spur our trading partners to make hard decisions in the final hours of trade negotiations, but also in its ability to highlight issues that Congress deems to be of critical importance in order to direct the Administration to focus on addressing those topics. The TPA legislation introduced last year included strong new provisions instructing U.S. negotiators to tackle sanitary and phytosanitary (SPS) measures in a heightened manner and address the abuse of geographical indications to impede U.S. exports. Both of these types of nontariff barriers have posed sizable challenges to U.S. exports in fast-growing markets and we very much look forward to seeing TPA legislation introduced that retains a focus on addressing these critical issues. In addition, TPA has given U.S. negotiators the direction to prioritize products that are subject to significantly higher tariffs in major producing countries. This prioritization is extremely important for our industry since dairy tariffs, particularly into large and developed dairy markets, are often extremely high. A case in point is Canada where dairy tariffs typically range from 200% – 300%. We want to ensure that our negotiators devote particular priority to the highest tariffs confronting U.S. agricultural exports and see TPA as a vital tool in ensuring that that appropriate focus is not lost. All of this is why TPA is so important in order to allow us to deal with these tough issues effectively via well-negotiated trade agreements. TPA is a clear directive to the Administration about what types of agreements will be acceptable to Congress and a reassurance to our trading partners that if they make tough calls to address those problems the U.S. has identified, they can take confidence in seeing the agreement get a fair hearing by Congress. 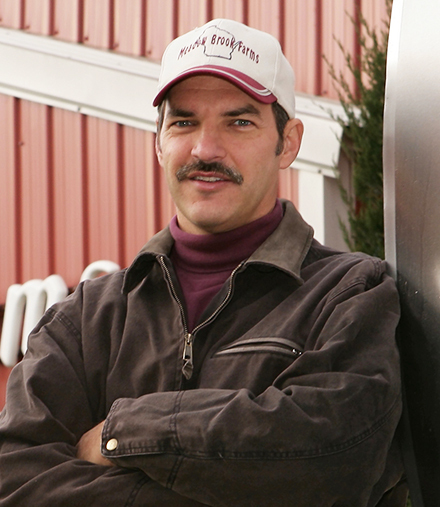 More about Pete Kappelman: Kappelman's keen interest in building a value chain for farmers has taken him to the board room of Land O’ Lakes cooperative, an USDEC member, where he has been chairman for 12 years. With an eagerness to grow U.S. dairy exports, Kappelman has been dedicated to helping build an industry fit to compete in the global marketplace. He became involved with the U.S. Dairy Export Council as a board member and in 2011 was jointly appointed by the United States Trade Representative (USTR) and the Secretary of Agriculture to the Agricultural Policy Advisory Committee (APAC). In the interest of furthering the cause of the farmer owned system, he has also been on the board of directors of the National Milk Producers Federation (NMPF) for more than 10 years. More about the hearing: Written testimony provided by the witnesses is linked below. Click here for more information, including Chairman Conaway's opening statement and the archived webcast.